Next Steps: Following the work pioneered in King Tut Virtual Experience , Rezzable has developed Stonehenge Virtual and a Victorian-themed game, Steamfish, a race against time for players as a population contracts a new disease. Second Life: Rezzable ended most of its work in SL because of the expense and lack of responsiveness from Linden Lab to their needs. At one time they ran 40 sims in SL; Himoff noted that 20 of them, however, were "abandoned" projects. Greenies remains a playground, pure and simple, but the new ventures for Rezzable seek to something different, a educational experience that museums seem unwilling to try. 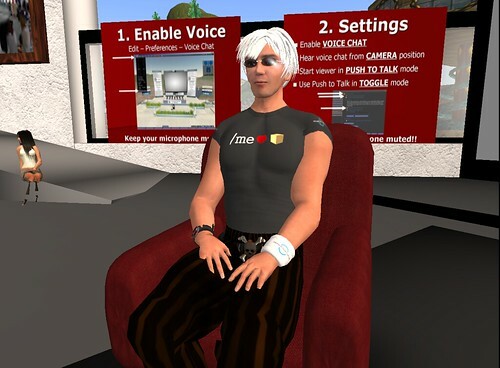 Rezzable's Mission: The company does not see itself as a service provider per se, but "as a content creator for virtual experience" in a variety of media online: 2D Web and Open Sim builds, these days. Why Antiquity? The historical emphasis comes from Himoff's passion for Antiquity as well as his belief that real sites and guidebooks don't provide much guidance. As he notes, "you don't understand what you're looking at; you can get a tour from a guide or read a book but not a sense of the original creation of it." Why Antiquity Online? A Heritage Key site, like the King Tut Virtual Experience and Stonehenge Virtual, will allow visitors to do things to enhance a real-life visit, such as reconstruct what might have been at the site in Antiquity or interact with artifacts in ways not possible at the actual site. Builderbot: The controversial Builderbot tool now exists as a resource for builders to port their content from one world to another. Its future is uncertain, "since we're focused on Heritage Key it's hard to allocate resources to maintain the tool." Investors are backing the Heritage Key and other Rezzable projects. Himoff seeks new ways to monetize the experience through premium-level resources. Copyright: Educators may use HK materials in their projects, since "everything is Creative Commons, [but] we ask people to provide attribution but can pull stuff off our site." The complete transcript of our meeting is now online. Happy reading!